A city of historic buildings and beer halls that is home to the original, and some say best, Oktoberfest in the world. Munich is the heart and soul of Bavaria, the third largest city in Germany, and an excellent place to come for a long weekend or more, whether you’re into arts and culture, beer and wurst, or you just love spending time in a vibrant city that has so much to see and do. Visit Munich for a vacation you won’t forget! 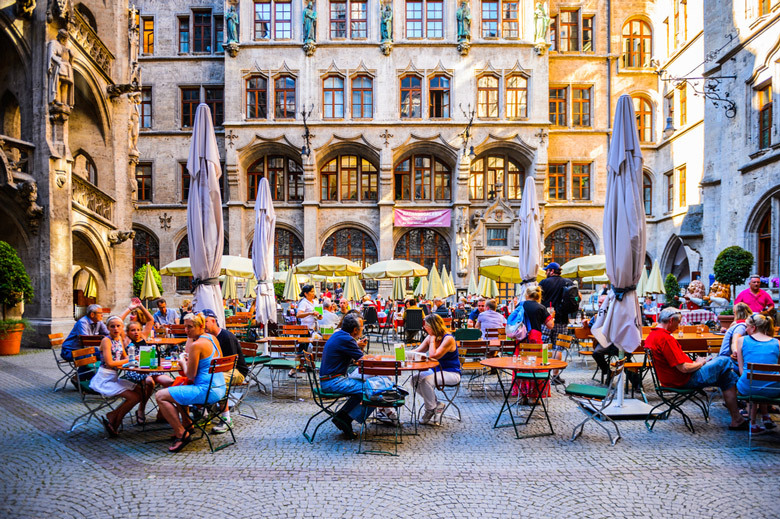 Putting Oktoberfest aside for a moment, Munich is an animated and appealing destination at any time of the year that’s filled with beautiful historic architecture and excellent museums, and has a thriving café culture and a pulsating nightlife. With such a broad variety of attractions it’s easy to see why so many people visit Munich throughout the year but add in the great appeal of Oktoberfest and you’re onto a real winner! This massive event attracts around 6 million visitors per year, and they come here from all over the world to experience the Oktoberfest that most other cities have tried to duplicate. Obviously the beer is a big thing about this festival, but there’s also a huge funfair with rides and other attractions, entertainment, and plenty of typical Bavarian food for dining on. First mentioned in 1158, Munich evolved from a Benedictine monastery into a town and later a city. Throughout its existence it has always been an important place: the seat of the Bavarian Dukes from 1255, an imperial residence for the Holy Roman Empire, capital of the Duchy of Bavaria, electorate, and a sovereign kingdom. As the Nazi movement got underway, Munich was declared their capital, and during World War 2 most of the historic center of the city was destroyed but it was rebuilt rather than just building the city with completely new architecture. Bridge across the Isar River in Munich. Today Munich is the capital and largest city of the German state of Bavaria, and it’s the cultural and economic heart of Southern Germany. The city is located close to the southern borders of the country and close to the Bavarian Alps, in area of amazing natural beauty, filled with forests and lakes. 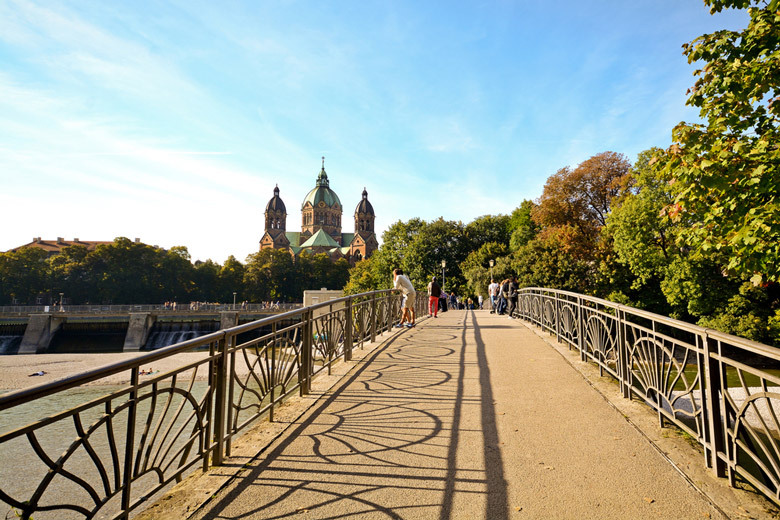 The city itself is set on the banks of the River Isar and its historic center is compact enough to enjoy on foot, but if you want to visit Munich’s other neighborhoods you can do so easily by public transport. Munich has one of the best and most punctual transport systems in the world, including the historic tramway, a subway and buses. If you’re not interested in Oktoberfest, be sure to visit Munich at a time other than mid to late September as during this time the city is far busier than normal and you’ll have trouble finding accommodation. The warmest, though also the rainiest month, is July when the average high is a comfortable 24.4C (76F) so if you plan to visit Munich in July, bring a rainjacket or umbrella with you so the summer showers don’t ruin your trip. 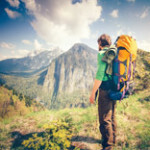 Winters are far quieter for tourists, but with cooler weather and not much sunshine you’ll need to bring warm clothes.